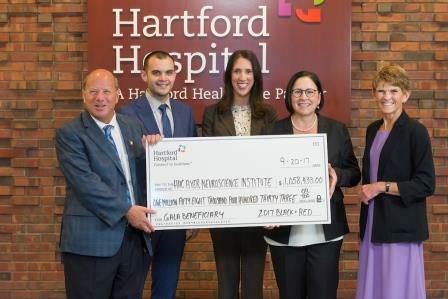 Thank you to our sponsors and guests - because of your support, the 2017 Black & Red netted over $1 million for Hartford HealthCare’s Neuroscience Institute at Hartford Hospital! More than 1,000 supporters filled the Bushnell Center for the Performing Arts Saturday, January 28, for dining, dancing, and featured entertainment by Fitz & the Tantrums. Adding to the excitement of the night was the announcement of two transformational gifts benefiting the institute. Multi-million-dollar gifts from the Chase family and from Ramani and Louise Ayer will help to advance the institute’s goal of being a national destination for the highest-quality care for the full spectrum of neurological diseases. The Chase gift will be recognized with the naming of the David and Rhoda Chase Family Movement Disorders Center. In recognition of the gift from Ramani and Louise Ayer, the Neuroscience Institute will be named the Ayer Neuroscience Institute. To see a full list of sponsors and donors for 2017, please click here. For photos from the event, please visit photographer Brian Ambrose's website. 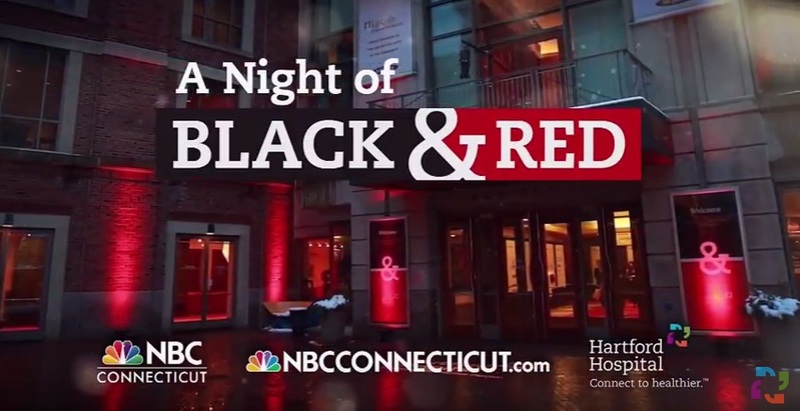 The Black & Red was broadcast live on NBC CT, and helped kicked off our Think FAST campaign to raise awareness on the signs and symptoms of stroke. To learn more about the signs of stroke, please visit ThinkFastCT.org.